Each year WordPress did a very impressive job of giving each active blog an annual report for the performance last year. As I only posted on 4 of my 6 Blogs in 2014, I got 4 reports this time. As the reports are quite comprehensive, but then I might be the only one who would read it, I determined to summarize and compare the four blogs instead of making the WordPress reports public. The results are a big surprise for me, but will help me in crafting the future directions of these four blogs. I will give you a snapshot from WordPress’ report first, and then write my analysis at the end. Thank you for reading and your continuous support. I am posting this post on all my four blogs. “A San Francisco cable car holds 60 people. This blog was viewed about 580 times in 2014. If it were a cable car, it would take about 10 trips to carry that many people. There were 6 pictures uploaded, taking up a total of 1 MB. “A New York City subway train holds 1,200 people. This blog was viewed about 5,500 times in 2014. If it were a NYC subway train, it would take about 5 trips to carry that many people. There were 231 pictures uploaded, taking up a total of 94 MB. That’s about 4 pictures per week. There were 8 pictures uploaded, taking up a total of 5 MB. “The concert hall at the Sydney Opera House holds 2,700 people. This blog was viewed about 10,000 times in 2014. If it were a concert at Sydney Opera House, it would take about 4 sold-out performances for that many people to see it. As I was extremely busy at work in 2014, I did not do as much as 2013 in terms of blogging. Overall, I consider My Notebook as my primary Blog. It is a travel blog and my primary interest in blogging is to share my travel pictures and experience. Although I spent most of my time on this blog, the result was not outstanding. Last year I hardly wrote any new posts on my Food Blog, except a few reviews of restaurants, but the results were exceptional. Many readers came to look for stuff on this blog, primarily on my posts in 2013. My passion is on Art but again like the other blo, the posting was infrequent and only had limited visits and comments. Whenever I wrote about art, I devoted my heart and soul on it. Although not too many visitors had visited this blog, I am glad there were quite a few post that stimulated some interesting discussion, like the post on David Hockney. The biggest surprise which warmed my heart was the Healthy and Happy Blog. I only posted a few posts in the last 2 years. The results were unexpectedly good. The only explanation was that this is a hot topic. Who would not want to be healthy and happy? I understand the importance of marketing and the use of social media. But i don’t have time! With such a limited time I have, I think I have to thank myself for having a diverse “portfolio”. My goal is just to learn and share. I did have limited success last year. It was not too bad for a full-time management person. Well, what do all these mean to me? What is my 2015 blogging plan? With the above ideas in mind, I think I will concentrate more time in writing about healthy cooking, conduct some marketing work on my cookbook, and to find out more resources on health and wellness subjects. I will continue to travel, take pictures and post but will not spend too much time on my travel blog. I will continue to appreciate art and culture, visit museums, attend concerts, opera and ballet. Writing will be limited but I will continue writing about subjects of my passion. That’s all for now. I hope this is a good start on the New Year Night! Hope to see you again soon! Happy 90th Birthday! Mr. Low! Happy Birthday to you! Mr. Low. Happy 90th Birthday! Wow! What do most people look like if they live up to the age of 80 or 90? But Mr. Low is not like any 90-year-old man! He walks briskly , his back is as straight as the wall. His mind is as sharp as a fifty year old. His wife who is 82-year-old, looks like a pretty lady in the fifties. Both go to the gym daily, and exercise for at least an hour or so. Both go to the senior center to enjoy a nutritious lunch. Both enjoy every minute of their lives with their children and grand-daughter. This is the most loving family I ever met. Today, Mr. Low celebrated his 90th birthday. His children gave him a very nice party with the best Chinese food in San Francisco Bay Area. His children prepared a beautiful slide show and video showing all his travels in the last 90 years of his life! Most trips were taken with the whole family. Mr. Low once traveled with my brother to Huang Shan, China. He was over 70 , the oldest person in that group. Yet, he was the first to reach the top of one of the peaks of Huang Shan. How can all these happen? Exercise is the key. Positive thinking is the ingredient. A loving family is the nutrient as well as the product. Dear friends: if you want to be as young as Mr. Low, and to be happy and healthy like him, follow his healthy life style: exercise regularly, eat well, sleep well, think well, and enjoy life! 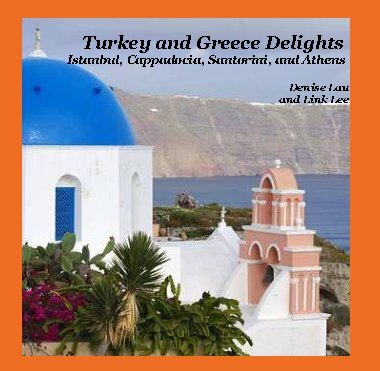 My other published books are all related to my travels. Today I suddenly turned “home” to write on this blog because there are quite a few friends who came to visit during the Labor Day holiday. All of them asked about my books, and they are all surprised of my “achievement” of publishing a cookbook! If you read the different recipes in this book, you will notice that the recipes are all about healthy eating. 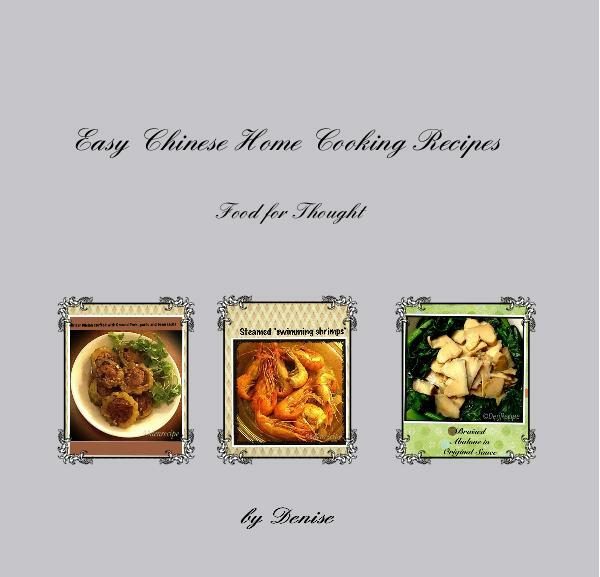 I hope you will take a good look at my cookbook. The e-book on iBookstore is free. Happy Labor day! Happy reading, cooking and eating! As I was new to blogging, I went around to experiment on different themes. Writing is not really my best attribute, but I love to learn new things, and love challenges. 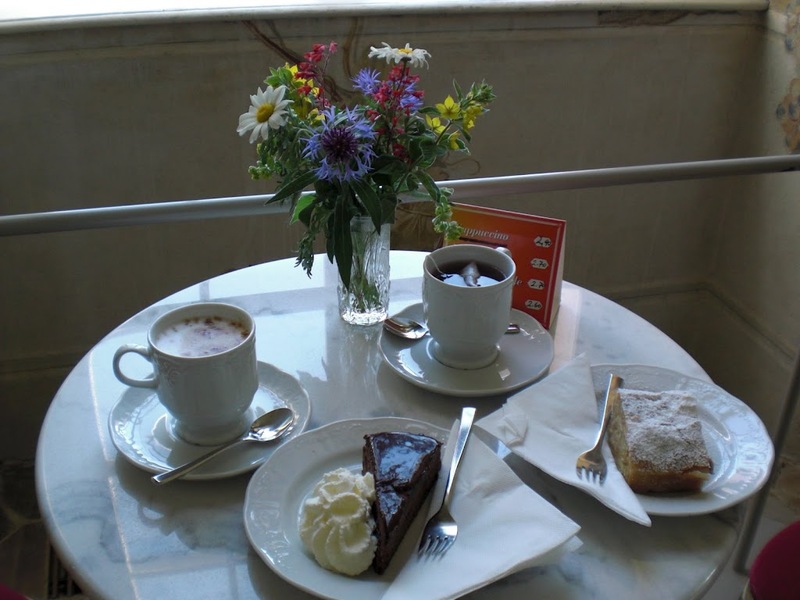 As traveling and arts are my cup of tea, I want to devote different blogs to a different theme. So far, I have actually developed many blogs on different platforms. WordPress is my regular platform. To date, I have these 6 “active” blogs, while the others are either private or not searchable for either work or private purpose. As I am a private person, but not totally conservative like many people, I do not use blogging to socialize or widen my social network. I think I just like to express and share what I like, share my travel photos and what I have learned from those countries that I traveled to. I have learned a lot from all of you, my fellow bloggers. Many of you are really my resources with so much to learn and share. 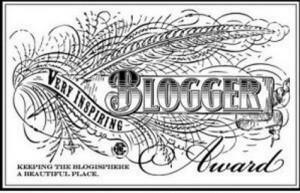 Just before I started to write this post, I received a nomination for an award from a blogger friend. I found out recently that we belong to the same alumni. It is Black and White Bear, a couple that posted very beautiful pictures. 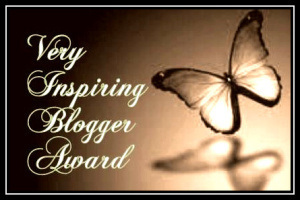 They have nominated me a “Very Inspiring Blogger Award”, which happened to be my third one. I am very grateful to all of you for your support. I will handle this award on my next post. But this is really timely to give me another reason to celebrate. If people asked me why do you have time to do all these things, it is a very difficult answer. I don’t have time. I just made time for it. Actually I spent more time recently on making videos, my new hobby! I just created my new channel on YouTube. I have to say that YouTube has a wider audience but is more public. There are more people interested in looking up videos on YouTube than looking up blogs. However, it is not the reason why I like to make videos. It is primarily for arts reason. If you are interested in my YouTube channel, here’s the link. This is a Travel and Arts Channel. If you are interested in travels, and appreciation of arts and different cultures, this is your channel. As I also write and read blogs, my videos are usually shared via my blogs as well. I hope to see you there! Why do I love to blog? Why do I like to blog? What is the purpose? I am not blogging to get any financial gain or publish anything in future. My goal is just to learn and continue to challenge myself. Very few of my friends and family like to read what I posted. Only one family subscribed and one really loves my videos. My friends are mostly not interested in this type of hobby. They love to eat and travel and do give me good feedback. I did use some of the skills I’ve learned via blogging and video-making, to help my colleagues at work. Recently I applied for two national awards, and got both. One is related to technology. I am a non-technical person supervising a technology program, not too unusual! When I started to write this post, I thought it would be good to check out where I am in terms of my blogs. Here’s the data. What I am most interested is the number of countries where my readers reside. Isn’t that amazing? I know that comparing to many of your blogs, these numbers are really very small. To me, they mean a lot to me. I found it very interesting about one thing: My Healthy and Happy blog only has two posts, as I did not have time when I have to prioritize. but it has altogether 391 viewers across 27 countries! I think a lot of people search for topics on health, and therefore they found my blog. I have to apologize to my three readers of that blog. I am very lagging behind. I will see what I can do more in future. Thank you! I love you all! Finally, I have to thank all of you for your continuous support! You are my inspiration. You are the reason that keeps me moving forward. You are my friends, my co-learner, my teacher, my resources… I will reblog this post to my other blogs as it is a celebration of all my blogs. Tomorrow, I will go to see the painting that I have longed to see for a long time…. Girl with a Pearl Earring Please stay tuned for my next post on Can’t help falling in love…with Arts. Longevity – What does it take to have a long and good life? When I decided to write about healthy living that day (August 18, 2012), I heard about the news that Hong Kong women now outlast Japanese women in the life expectancy in the world. I was shocked! I wouldn’t believe that Hong Kong which is so crowded and polluted, can be a place where people would be expected to have a long life. Today I found this post from CBS with a documentary of interviewing seniors living in the community. I would like to share this with you. “As one of the most densely populated cities in the world, it’s hard to imagine how Hong Kong with its high intensity, stress and pollution could possibly add years to your life. But it just so happens that its female residents have not only learned, but mastered the secret to aging. At one of the city’s elderly community centers, 89 year old Lee Wai Fong defies age and gravity at a daily dance class. “From exercise and a healthy body,” she says. “It should be this way”. Mrs. Lee is not the exception, but the rule. A study by the Japanese government has found women in Hong Kong live the longest in the world with an average life expectancy of 86.7 years, overtaking japan which held the title for 25 years. But, Hong Kong men lag behind their women, with a life expectancy of 80 and this gap doesn’t look like it will change anytime soon. “We depend on people who look after us, women! They are the ones who take care of us and when they disappear our chances of mortality are much higher,” says Dr. Kong. Whether it be diet, genetics or medical advances health professionals agree that one key factor that sets Hong Kong’s elderly apart is the importance of family within the Chinese culture. It is nice to know that family is so important to our lives. However, I believe apart from genetic factors, the lifestyle and diet of individuals are the most important factors that affect longevity. My next post will be my encounter with two Japanese American elderly ladies last weekend and the Okinawa studies that I am very interested in. 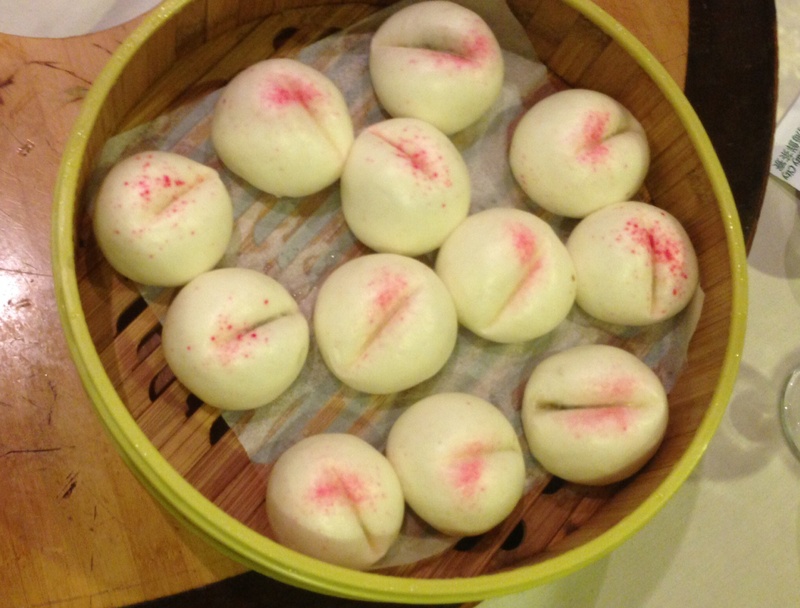 Meanwhile, please enjoy these two pictures that my friends took during our trips to China. The first one is a picture of seniors doing Tai Chi in a park in Shanghai. The second one shows seniors hiking at Huang Shan. We all should realize that exercises are very important to our health. This is the sixth “active” blog that I have created since mid May, 2012. The reason why I am interested in this subject matter ” healthy and happy” is simple. Like most people, I want to have a healthy and happy life. Exploration and sharing are the motives behind this blog. I am not an expert in this field but I do have some work related connections to this subject. My curiosity to seek for knowledge to become healthier has driven me to create this blog. Whatever I write in this blog is what I have learned from friends or public information (like published researches) via the web or other sources. If you are interested in similar topics, please read and participate. I will refer to some researches that I have come across, and some evidence-based findings which may be of interest to you. I sound academic here but truly I am not. I am just an individual interested in exploring and sharing. It happens that I have recently found a new hobby, which is… blogging! Most likely, the readers who are interested in this blog will be the mature group. However, younger people should also be aware that a healthy life is the goal of everyone, of any age. What is the meaning of the lotus flower? How does it relate to “Healthy and Happy”? To celebrate the birth of this blog, I am posting a few beautiful pictures of the lotus flowers from my dear friend Terry. The beautiful picture on the header is also Terry’s. Although I am not a Buddhist, I love to study Buddhist art. During my study (mostly self-study), I have come across the symbolism of the lotus flower in Buddhism. I found it very meaningful and appropriate when we are discussing how to live a healthy life here.